"Ta'anis 2a-31a" (PDF). Soncino Babylonian Talmud. Translated by I Epstein. 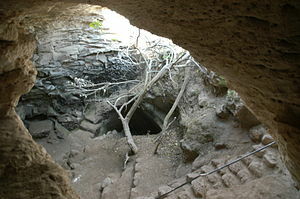 Halakhah.com. pp. 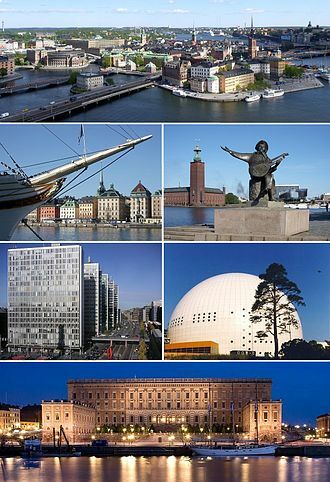 92–93. Retrieved 2014-06-27. AND THE CITY WAS PLOUGHED UP. It has been taught: When Turnus Rufus the wicked destroyed[note 20: Var lec. : ‘ploughed’.] the Temple,... .
Eshel, Hanan (2003). "The Dates used during the Bar Kokhba Revolt". In Peter Schäfer. 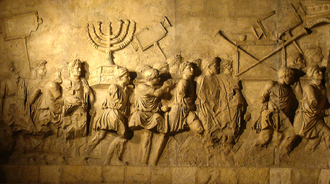 The Bar Kokhba War Reconsidered: New Perspectives on the Second Jewish Revolt Against Rome. Mohr Siebeck. pp. 95–96. ISBN 978-3-16-148076-8. Legio tertia Cyrenaica was a legion of the Imperial Roman army. The origins of the legion remain unknown, one source believes the legion was probably founded by Mark Antony around 36 BC, when he was governor of Cyrenaica. 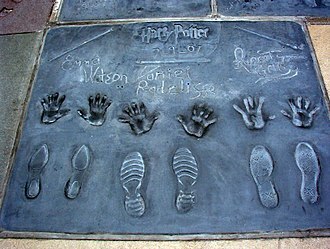 Equally, the origins may come from the fact it was commanded by Lucius Pinaris Scarpus. There are still records of the legion in Syria in the beginning of the 5th century, Legion III Cyrenaica was one of the longest-living Roman legions. The origin of the title/name Cyrenaica is not known - it may have given to the Legion to signify its origin in Cyrene. Difficulties tracing the history of any Roman legion, including III Cyrenaica, are multiple, distinguishing between the legions is only done via regional title such as III Cyrenaica etc. Jona Lendering - Livius. org Peter Connolly - Greece and Rome at War, phil Barker - The Armies and Enemies of Imperial Rome, Wargames Research Group Publications 1981. Bishop & Coulston - Roman Military Equipment, Oxbow Books 1993, a. Sanders, The Origin of the Third Cyrenaic Legion, American Journal of Philology,62, pp. 84–87. Akiva ben Yosef, widely known as Rabbi Akiva, was a tanna of the latter part of the first century and the beginning of the second century. Rabbi Akiva was a contributor to the Mishnah and to Midrash halakha. He is referred to in the Talmud as Rosh la-Hakhamim Chief of the Sages and he was executed by the Romans in the aftermath of the Bar Kokhba revolt. Akiva ben Yosef came of humble parentage, when he married the daughter of Kalba Savua, a wealthy citizen of Jerusalem, Akiva was an uneducated shepherd in Kalba Savuas employ. His wifes first name is not given in the earlier sources and she stood loyally by her husband during that critical period of his life in which Akiva dedicated himself to the study of Torah. Rabbi Akiva has many famous quotes in the Babylonian Talmud, a different tradition narrates that at the age of 40, Akiva attended the academy of his native town, presided over by Eliezer ben Hurcanus. 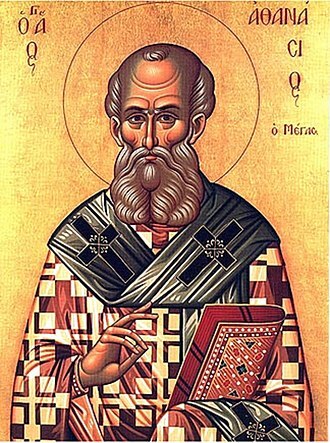 Hurcanus was a neighbor of Yosef, the father of Akiva, the fact that Eliezer was his first teacher, and the only one whom Akiva designates as rabbi, is of importance in settling the date of Akivas birth. These legends set the beginning of his years of study at about 75–80, besides Eliezer, Akiva studied under Joshua ben Hananiah and Nahum Ish Gamzu. He was on equal footing with Gamaliel II, whom he met later, Rabbi Tarfon was considered as one of Akivas masters, but the pupil outranked his teacher and he became one of Akivas greatest admirers. 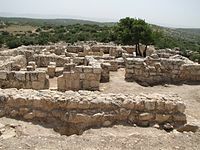 Akiva remained in Lod as long as Eliezer dwelt there, and removed his own school to Beneberak, five Roman miles from Jaffa Akiva lived for time at Ziphron. 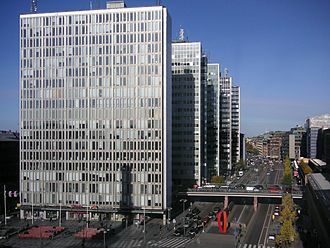 For another identification of the place, and other forms of its name, see Neubauer, La Géographie du Talmud, p.391, according to the Talmud, Akiva was a shepherd for Kalba Savua when the latters daughter noticed his modesty and fine character traits. She offered to him if he would agree to begin studying Torah, as at the time he was 40 years old. When her father found out she was betrothed to an unlearned man. He drove his daughter out of his house, swearing that he would never help her while Akiva remained her husband and his wife lived in such poverty that they used straw for their bed. Legio quarta Flavia Felix, was a legion of the Imperial Roman army founded in AD70 by the emperor Vespasian from the ashes of the Legio IV Macedonica. The legion was active in Moesia Superior in the first half of the 5th century, the legion symbol was a lion. During the Batavian rebellion, the IV Macedonica fought for Vespasian, therefore IV Macedonica was disbanded, and a new Fourth legion, called Flavian Felix was levied by the emperor, who gave the legio his nomen, Flavia. Since the symbol of the legion is a lion, it was levied in July/August 70. 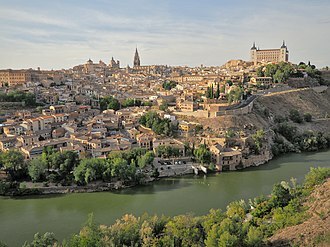 IV Flavia Felix was camped in Burnum, where it replaced XI Claudia, in 88 the Fourth participated to the retaliation invasion of Dacia. 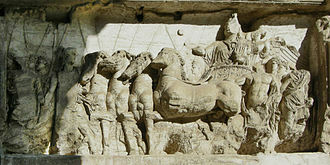 It participated in the Dacian Wars of Trajan, being victorious at the Second Battle of Tapae, the legion participated at the final and decisive battle against the Dacians, conquering their capital, Sarmisegetusa. 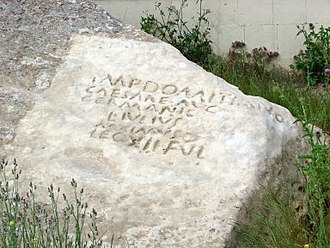 Monuments of IV Flavia Felix have been found at Aquincum and this suggests that a subunit replaced II Adiutrix during its absence during the wars of Lucius Verus against the Parthian empire. 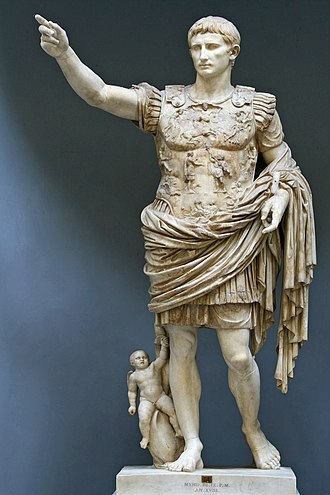 Legio tertia Gallica was a legion of the Imperial Roman army founded around 49 BC by Gaius Julius Caesar for his civil war against the conservative Republicans led by Pompey. 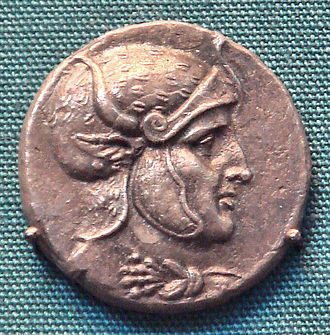 The cognomen Gallica suggests that recruits were originally from Gaul, the legion was still active in Egypt in the early 4th century. The legions symbol was a bull, the legion took part in all Julius Caesars campaigns against his enemies, including the battles of Pharsalus and Munda. Following Caesars death, III Gallica was integrated in the army of Mark Antony and they were included in the army levied by Fulvia and Lucius Antonius to oppose Octavian, but ended by surrendering in Perugia, in the winter of 41 BC. After the battle of Actium and Antonys suicide during Antonys civil war, the III Gallica was sent again to the East, III Gallica was used in Gnaeus Domitius Corbulos campaign against the Parthians over the control of Armenia. Corbulos successes triggered the emperor Neros paranoia of persecution and eventually the general was forced to commit suicide, after this, III Gallica was transferred to the province of Moesia on the Danube. In the Year of the Four Emperors in 69, the legion, and they were instrumental in the final defeat of Vitellius in the second Battle of Bedriacum and in the accession of the Flavians to the throne of Rome. This legion during its service in Syria had developed the custom of saluting the rising sun, the Vitellian forces thought that they were saluting reinforcements from the east and lost heart. In these years, one of the tribunes of the III Gallica was Pliny the Younger. After this civil war, the legion was sent to Syria. 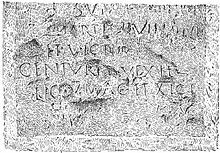 They took part in Lucius Verus campaign and in next Septimius Severus campaign against the Parthian Empire, during the reign of Roman Emperor Caracalla, the Legion left an inscription amongst the Commemorative stela of Nahr el-Kalb. III Gallica played a role in the early reign of Elagabalus. 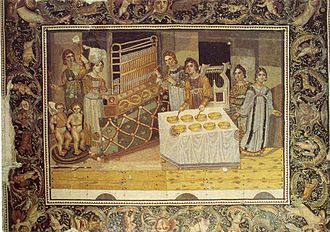 In 218, during Macrinus reign, Julia Maesa went to Raphana and she largely donated to the legion, which, in turn, proclaimed emperor Julia Maesas grandson, the fourteen-year-old Elagabalus, on the dawn of 16 May. The Legio duodecima Fulminata, known as Paterna, Antiqua, Certa Constans, and Galliena, was a legion of the Imperial Roman army. It was originally levied by Julius Caesar in 58 BC and which accompanied him during the Gallic Wars until 49 BC, the unit was still guarding the Euphrates River crossing near Melitene at the beginning of the 5th century. The legions emblem was a thunderbolt, in centuries it came to be called commonly, but incorrectly, the Legio Fulminatrix, the Thundering Legion. 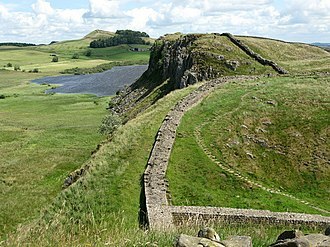 The Twelfth legion, as it is better known, fought in the Battle against the Nervians. The Twelfth fought at the Battle of Pharsalus, when Caesar defeated Pompey, after Caesar won the civil war, the legion was named Victrix, and enlisted in 43 BC by Lepidus and Mark Anthony. 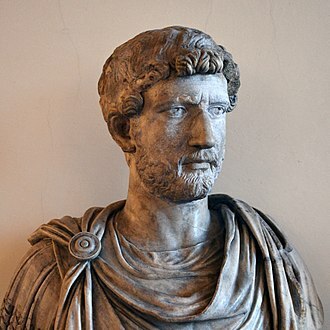 Mark Anthony led the Twelfth, renamed XII Antiqua during his campaign against the Parthian Empire, during the latest part of Augustus principality, XII Fulminata served in Syria, camping at Raphana. In the East, King Vologeses I had invaded Armenia, a client kingdom of Rome, the legions were shamed and removed from the war theatre. On its way back, XII Fulminata was ambushed and defeated by Eleazar ben Simon at Beit-Horon, however, XII Fulminata fought well in the last part of the war, and supported its commander T. Flavius Vespasian in his successful bid for the imperial throne. At the end of the war, XII Fulminata and XVI Flavia Firma were sent to guard the Euphrates border, in 75 AD, XII Fulminata was in Caucasus, where Emperor Vespasian had sent the legion to support the allied kingdoms of Iberia and Albania. The legion was probably in Armenia during Trajans campaign of 114 AD, in 134, the threat of the Alans was subdued by the governor of Cappadocia, who defeated the invaders with the aid of XII Fulminata and XV Apollinaris. The Twelfth probably fought in the Parthian campaign of Emperor Lucius Verus, in 162-166, if a unit of XII. 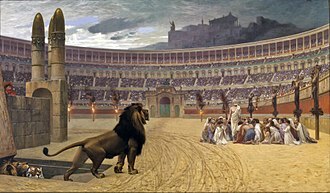 At this time, most of the Twelfth was composed chiefly of Christians, there was a belief that this had led to the emperor issuing a decree forbidding the persecution of the Christians, but this seems to have been based on a forgery. Tisha BAv is regarded as the saddest day in the Jewish calendar and it is thus believed to be a day which is destined for tragedy. Tisha BAv falls in July or August in the Western calendar, the observance of the day includes five prohibitions, most notable of which is a 25-hour fast. 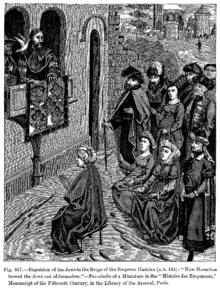 According to Rabbinic tradition, the sin of the Ten Spies produced the annual fast day of Tisha BAv. When the Israelites accepted the report that the land of Canaan would be impossible to conquer. 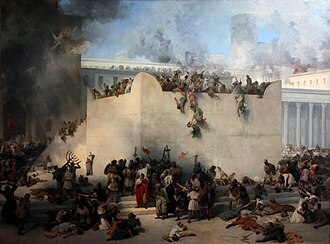 The night that the people cried was the ninth of Av, the fast commemorates the destruction of the Jewish First Temple and the Second Temple, both of which occurred on the 9th of the Hebrew month of Av, about 655 years apart. The three weeks leading up to Tisha BAv are known as The Three Weeks, while the nine days leading up to Tisha BAv are known as The Nine Days. According to the Mishnah, five specific events occurred on the ninth of Av that warrant fasting, only two of the spies and Caleb, brought a positive report, while the others spoke disparagingly about the land. The majority report caused the Children of Israel to cry, for this, they were punished by God that their generation would not enter the land. Because of the Israelites lack of faith, God decreed that for all generations this date would become a day of crying and misfortune for their descendants. 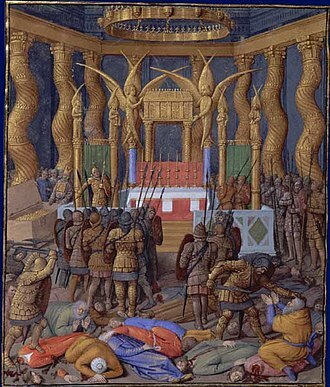 According to the Talmud in tractate Taanit, the destruction of the First Temple began on the Ninth of Av. 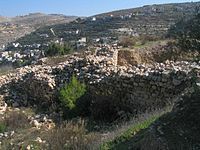 The Second Temple built by Ezra and Nehemiah was destroyed by the Romans in August 70 CE, scattering the people of Judea, the Romans subsequently crushed Bar Kokhbas revolt and destroyed the city of Betar, killing over 500,000 Jewish civilians on August 4,135 CE. 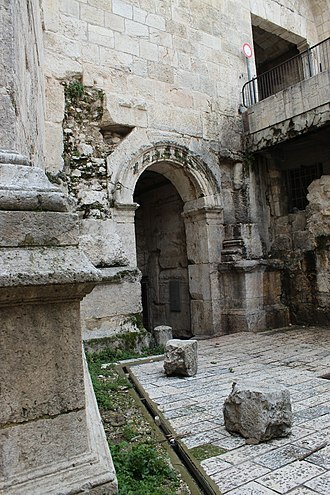 Following the Bar Kokhba revolt, Roman commander Turnus Rufus plowed the site of the Temple in Jerusalem, Due to a two-year difference within the Hebrew calendar, the years in which the First and Second Temple were destroyed have been disputed. Regardless of the dates of these events, for many Jews, Tisha BAv is the designated day of mourning for them. Legio quinta Macedonica was a Roman legion. 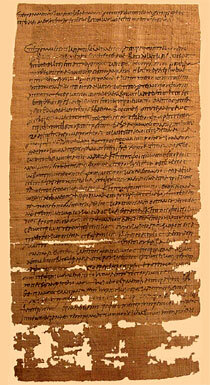 It was probably levied in 43 BC by consul Gaius Vibius Pansa Caetronianus. 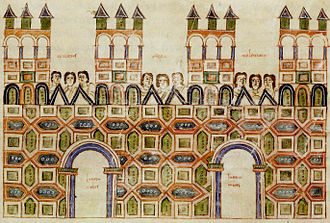 It was based in the Balkan provinces of Macedonia and Dacia, in the Notitia Dignitatum records from beginning of the fifth century, the legion was still stationed in Dacia, with detachments stationed in the east and Egypt. The last known evidence shows the legion, or detachments from it and its symbol was the bull, but the eagle was used as well. The Legio V was one of the original twenty-eight legions raised by Octavian, there are two fifth legions recorded, the V Gallica and the V Urbana. It is possible that both were early names for the V Macedonica. The legion probably participated in the Battle of Actium and it moved to Macedonia, where it stayed from 30 BC to AD6, gaining its cognomen, before moving to Oescus. 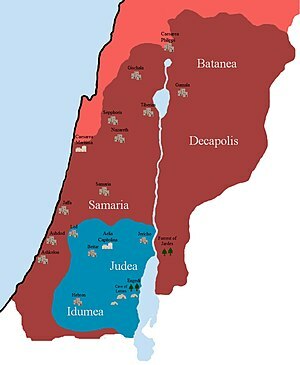 In 62, some vexillationes of the Fifth fought under Lucius Caesennius Paetus in Armenia against the Parthian Empire, the Fifth was probably still in the East when the Great Jewish Revolt in Iudaea Province began in 66. Nero gave the V Macedonica, the X Fretensis and the XV Apollinaris to Titus Flavius Vespasianus to counter the revolt. 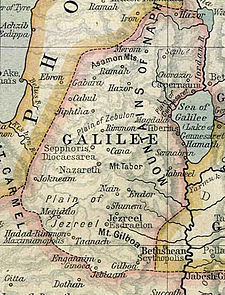 In 67, in Galilee, the city of Sepphoris surrendered peacefully to the Roman army, and the V Macedonica conquered Mount Gerizim, the chief sanctuary of the Samaritans. In the Year of the Four Emperors,68, the legion stayed inactive in Emmaus, after the proclamation of Vespasian as Emperor and the end of the war under his son Titus, the V Macedonica left Iudaea and returned to Oescus. 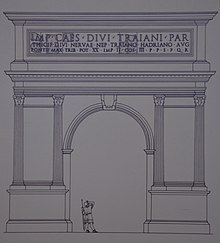 In 96, the emperor Hadrian served the legion as tribunus militum, in 101, the legion moved to Dacia, to fight in Emperor Trajans campaign against the king Decebalus. The legate of the V Macedonica was future emperor Hadrian, after the war ended in 106, the legion remained in Troesmis, near the Danube Delta since 107. 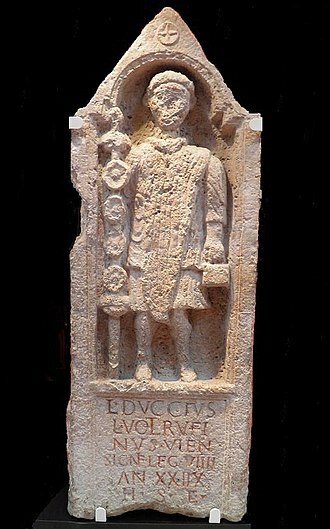 A centurion of the legion, Calventius Viator, rose to prominence under Hadrian and he was eventually promoted to commander of the emperors horse guards, the equites singulares Augusti. A stamp of the Ninth legion from the fortress at Caerleon in Wales. The last definite attestation of the Ninth: a stone inscription at York dated 108, on display in the Yorkshire Museum. The Silchester eagle, the Roman eagle that inspired Sutcliff's novel. According to Reading Museum, it "is not a legionary eagle but has been immortalized as such by Rosemary Sutcliff." Denarius minted by Mark Antony to pay his legions. On the reverse, the aquila of his Third legion. Roman re-enactors portraying Legio III Cyrenaica. 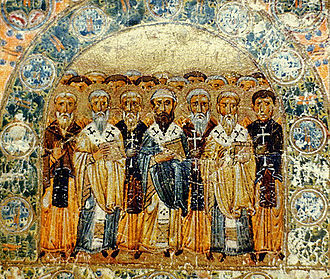 Note the Menapian auxiliary standing on the right side of the photograph. The "Miracle of Rain", from the Column of Marcus Aurelius in Rome. Two bulls, symbol of the III Gallica, bearing the legion standard LEG III GAL. Coin of Elagabalus, who became emperor with the decisive support of this legion. Antoninianus minted under Carausius. On the reverse, the lion, symbol of the legion, and the legend LEG IIII FL.